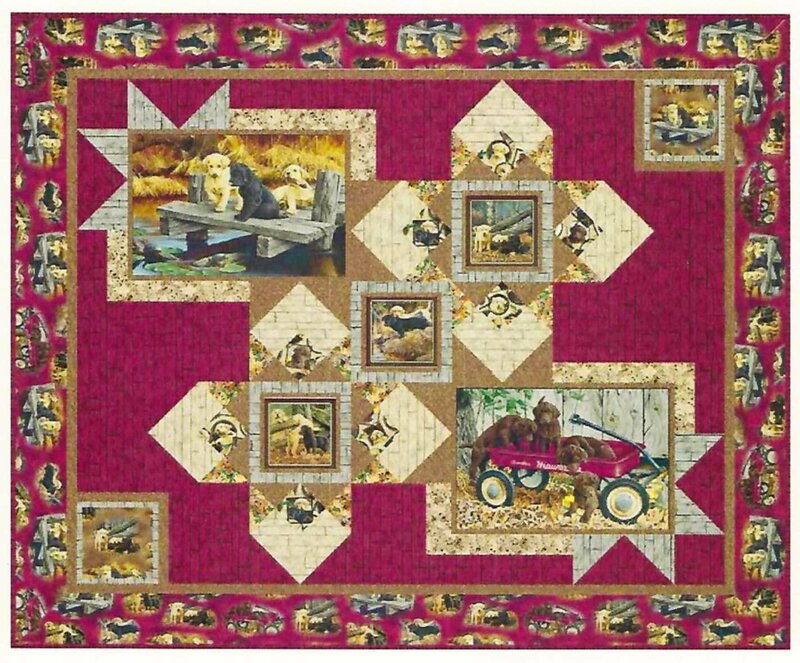 The Labradorable Quilt Kit features playful puppies with barn board red and brown blenders, perfect for men, women and kids! The Labradorable Quilt Kit includes the pattern and the fabric for the top and binding. The finished quilt measures 77" x 63".